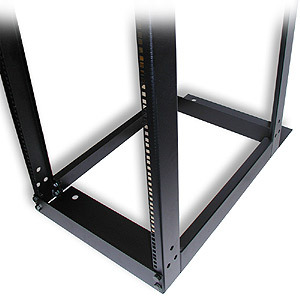 Servit's open design eliminates any ventilation issues, yet allows ganging racks together and easily managing cables and cross-connects. Inter-bay vertical cable troughs are ideal for handling a mass of data and power cables branching into the rack installation from the ceiling or the raised floor. 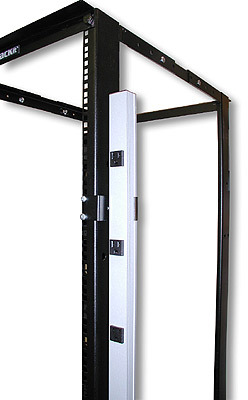 Vertical Cable-Rings and horizontal cable organizers, cable-lacing panels and cable-strain relief bars provide for meticulous cable management within the rack. Servit™ can be bolted to the floor, and its base can be assembled either facing inward for minimum footprint, or facing outward for anti-tipping support. 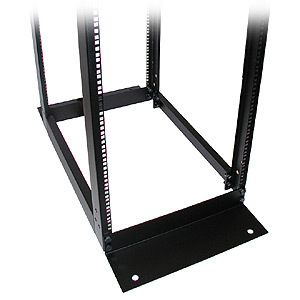 Servit racks can be ordered in four (4) different depths, to accommodate installations which are 24-inches deep; or 29-inches deep; or 32-inches deep; or as deep as 36-inches. 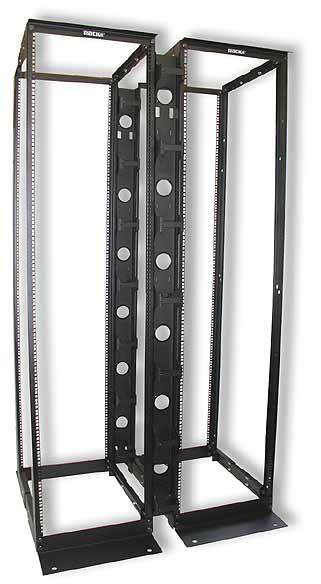 At 84-inches high, providing 45U of rack-mount space, Servit 6xx models ship with multi-vendor-compatible mounting rails (with square holes) made of heavy-duty steel, with durable, black powder-coat finish. 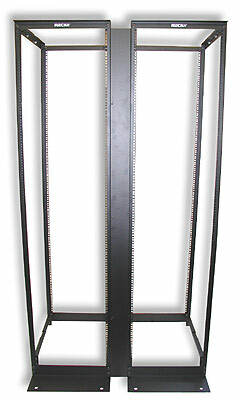 Optionally, Servit 12xx models ship with black extruded aluminum uprights, with pre-tapped #12-24 mounting holes. 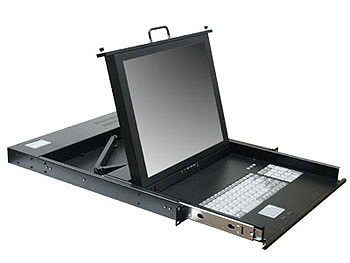 A wide range of available options allow customizing the rack environment, with integrated zero-U power strips, LCD consoles, keyboard and mouse accessories, environmental monitoring systems, shelves, and cable management.